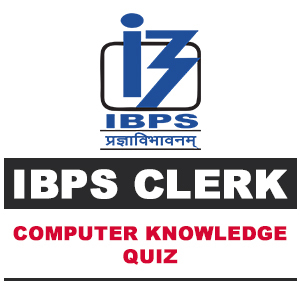 Here, we are providing you important questions of Computer for IBPS Clerk 2018 exam. Q.1 Which of the following is not a network? Q.3 Which printer type is an impact printer? Q.4 Help Menu is available at which button? Q.5 Zip is a ——file. Q.6 Which among the following is a Scientific Computer Language? Q.8 Which of the following lets you insert page number? Q.9 Where can you find the Draw Table tool button? Q.10 Tab scrolling button _______. Optical Fiber is not a network. Virtual memory is memory on the hard disk that the CPU uses an extended RAM. Dot-matrix printers is an impact printer. Help Menu is available at Start button. Zip is a Compressed File. FORTRAN is a Scientific Computer Language. Tables and Formatting toolbar can find the Draw Table tool button. Tab scrolling button allow you to view additional sheets tabs.